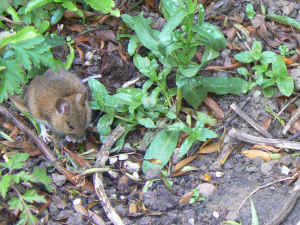 Observation - Wood mouse - UK and Ireland. Description: Eating food scattered for ground feeding birds. Eating food scattered for ground feeding birds.